James Dyas Davidson: Where can I find 'ordinary street make up'? Some more useful hints from my old Photography Diary 1977, this time regarding taking portraits. Statistics show that 90% of all amateur photographs are of people. Very often these photographs become treasured records of the past, a factor which is rarely appreciated at the time to judge by their quality. The inexperienced photographer who wishes to achieve something better than the average snapshot portrait should keep in mind the following points. Try to have their subjects looking their best and don't force them into being photographed when they are not ready. For colour portraits of women ordinary street make-up, carefully and moderately applied, is quite suitable. It is usually better to avoid or discourage women from wearing dresses of very vivid colours as this can adversely affect the colour of the complexion. Touches of a vivid colour can be added by way of scarf or hat. I'll spare you the other 9 points, good though they are. I fear the dreaded lurgy is lurking in me and I'm off to bed. 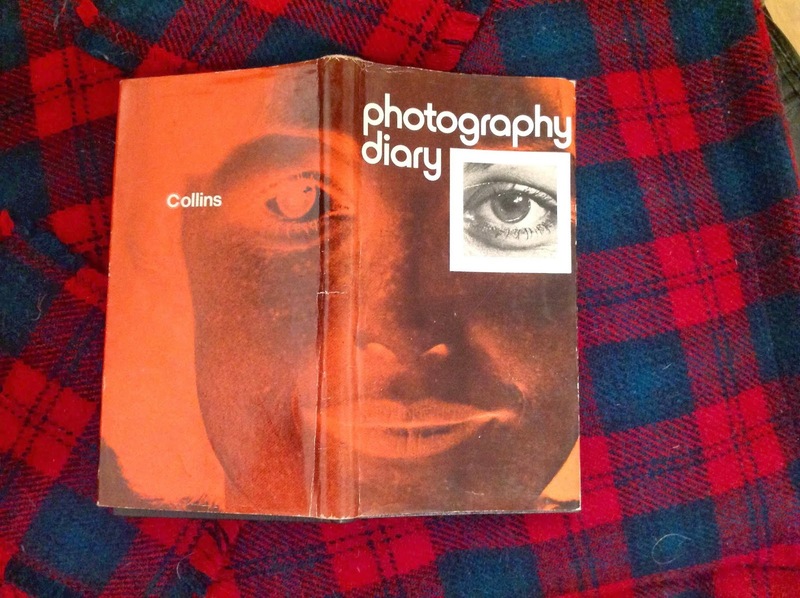 The design of the diary cover was by Iain Love but there is no mention of who wrote the text inside.